This is one of the most popular events here in Sanremo, a fantastic opportunity to watch floats go by, decorated with flowers of every kind and colour. Each year a new theme is chosen, which inspires magnificent displays of Sanremo's superb flowers. 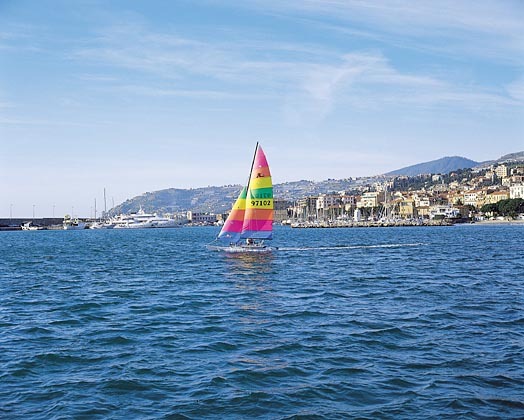 On the Riviera dei Fiori, it is always spring, so the local authorities (Provincia di Imperia) and other bodies organise a series of shows and events each year, in the winter period, to welcome you to the region and to make your stay more enjoyable. This extraordinary annual festival, internationally renowned since it was first held in 1951, is still the focus of intense interest and excitement in the musical world. Thanks to the presence of famous Italian singers, international stars and well- known presenters, the events is the main topic of conversation in the Italian media for many days. 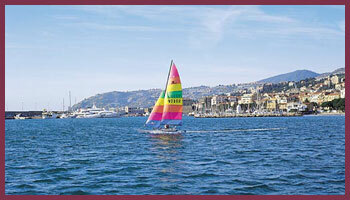 Towards the end of the summer, Sanremo is the venue for the only stage of the World Championship to take place in Italy. The course consists of 1,400 km of breathtaking bends and high-speed straights. This international gathering of veteran cars with its various events-uphill and slalom-for former stars of the racing world, is a unique opportunity to gaze and dream of past times. This special event for motorcycle enthusiasts is held each year at the end of October. It offers an unforgettable opportunity to travel through the fabulous and varied scene of the hinterland. The event is open to all categories of motorcycle: veteran, scooter, roadster and motocross bikes. The finishing point of this wonderful ride is right here in the Villaggio dei Fiori where participants can refuel themselves in our restaurant and applaud the prize- winners who receive their awards from the Motorcycle Club of Sanremo. Every spring this classic race takes place over straights and curves, all the way from the Milan plain down to the sea here in Sanremo. For more than 50 years now, cyclists have risen to the challenge, which requires extreme physical fitness and determination. Every summer, the leading manufacturers of fireworks throughout the world put on thrilling displays of light and colour. These dazzling shows take place in the Porto Sole of Sanremo and can be seen for miles around.